Looking for a great way to spend your summer? Looking for a great opportunity to make new friends that will last a lifetime while making a difference in the lives of young people of our community? Be a part of the summer camp action by applying to work at Fire Mountain Scout Camp this summer! If you are at least 14 years old (or will be by June 30), you are eligible to become a Staff-in-Training (SIT) at Fire Mountain. As an SIT you will learn and practice the skills needed to become a great staff member and a great citizen. You will learn among some of the greatest instructors available and work side by side with veteran staff members. You will attend Staff Development Week and work 2 Consecutive Weeks during Scouts BSA Summer Camp. You will also have the opportunity to work at Webelos Resident Camp and Cub Shooting Sports Resident Camp. Fill out a Staff-in-Training Application and return it to the Scout Office in Everett or Bellingham. Complete instructions are on the application. Are you a scout aged 15-17? Fill out a Youth Camp Staff Application to begin your summer of fun and adventure. Youth staff members at Fire Mountain serve as lifeguards, range assistants, merit badge counselors, and more! Youth staff typically serve one season as an SIT before becoming a regular staff member. Applications are also available at the Everett and Bellingham Scout Offices. More than half of our staff are age 18 or older. Our staff is comprised of many young adults (some have been young for a very long time) who are dedicated to helping the youth of our communities learn and grow. The experiences and lessons learned from a summer at camp are benefits that will stay with you forever. 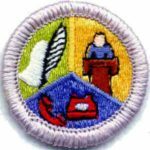 You must be a registered member of the Boy Scouts of America, and we can help you get registered if you are interested. Many wonderful and exciting positions are still available; undertake a meaningful challenge that will change your life and the lives of many Scouts this summer. This is the opportunity of a lifetime! Download an Adult Camp Staff Application or pick one up at the Everett or Bellingham Scout Offices. June 1st is the final date Staff Applications will be accepted for this season, though hiring may be completed prior to this date. Return completed applications to Mount Baker Council office at 1715 100th Place SE #B, Everett, WA 98208. If you have turned in a staff application, and have not heard anything from us within two weeks of turning in your application, you should be proactive in finding out the status of your application. Please direct any questions regarding summer camp staff to the Camp Director, Eric Buher.